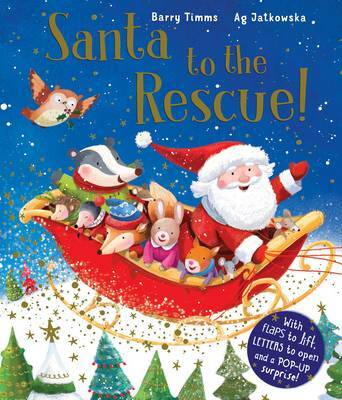 Book Review: Santa To The Rescue! I know it’s not Sunday but I wanted to sneak one final book review in before the end of the year. If there is one thing even better than a Christmas adventure story, it’s a pop-up Christmas adventure story. Santa To The Rescue! has all the elements of a Christmas story from snow to fir trees to Santa himself, but it’s also a search and rescue story. The animals of Holly Tree Forest are excited to recieve a letter from Santa, until they realise he’s delivering the news that their bear friends are stranded following a blizzard and face a miserable Christmas alone. The other animals set off to bring all the components of a magical Christmas to the bears – including presents, decorations and baked treats. As well as the sweet plot, the book has so many lovely details. There are lift-the-flaps on every page, a real letter from Santa to open and beautfully illustrated fold-out map. 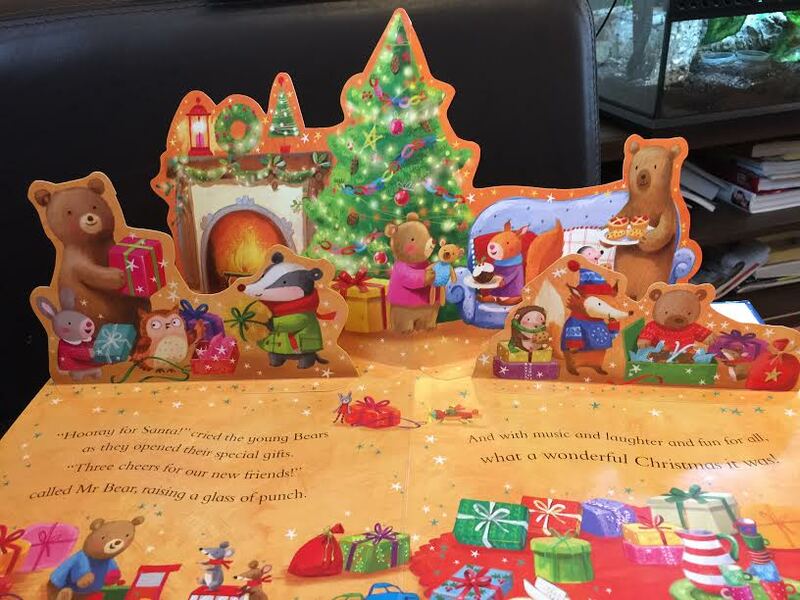 The last page is a wonderful double-spread pop up and a really fun surprise for the child you’re reading to. Santa to the rescue! has adorable, quite traditional illustrations and it’s a great length for a bedtime read in the lead up to Christmas. Caterpillar loves all the flaps and pop-ups, as well as the cute animal pictures. To find out more and get your copy visit Little Tiger Press. Previous Previous post: What’s In Our Christmas Eve Box?